Sarah: And school has started. 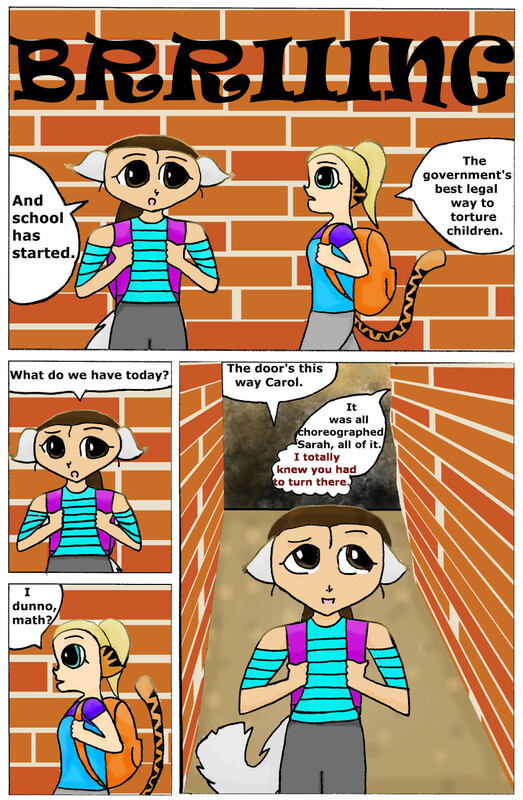 Carol: The government's best legal way to torture children. Sarah: What do we have today? Sarah: The door's this way Carol. Carol: It was all choreographed Sarah, all of it. I totally knew you had to turn there.